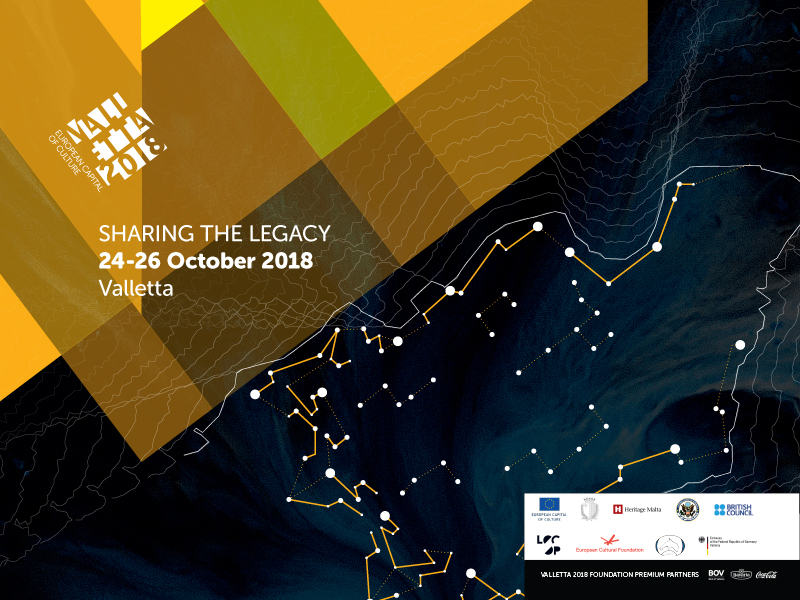 ‘Sharing the Legacy’, the Valletta 2018 Annual Conference, takes place between the 24th and the 26th of October 2018 at Fort St Elmo. Final chance to register for ‘Sharing the Legacy’, the Valletta 2018 Annual Conference taking place between the 24th and the 26th of October 2018 at Fort St Elmo, with registration deadline this Sunday 14th October. The conference is an invitation to assess and discuss the changing nature of the city and the future of cultural activity in Valletta. Spread over three days, the conference explores the legacy of Valletta as a European Capital of Culture. What does the experience of having this title leave behind, both locally and across the European spectrum? The conference invites people to reflect on the central issues that define urban life, by channelling its discussions through the basic question of “What makes a city better?”. How can cities be shaped to better suit the needs and desires of the individuals and communities they host, whether on a permanent or temporary basis? A number of workshops will take place to explore changing communities, pedestrianisation and green spaces and the sharing economy. The conference will also include plenary debate with representatives from former ECoCs and cultural operators, to explore the concept of legacy in other European countries from a practical perspective. This year’s edition will be the fifth Valletta 2018 annual conferences. For further information, visit conference.valletta2018.org, or send an email on [email protected], and follow Valletta 2018 on Facebook to stay updated. Day passes are also available from the conference website.